Zion National Park - Eric D. Brown, D.Sc. See that peak way off in the distance? That’s the Watchman at Zion National Park. I liked this composition…different than most others you see of the Watchman. 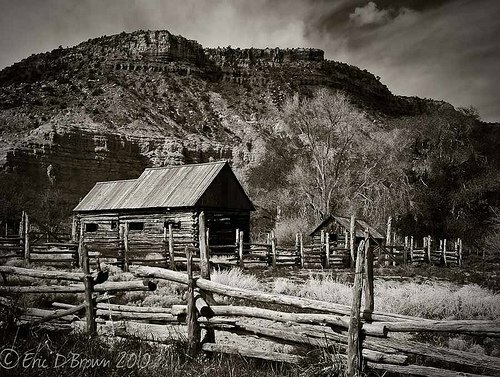 Captured with Canon 5D and Canon 17-40 L.
Here’s a photo taken at the Grafton Utah ghost town, just outside of Zion National Park. We couldn’t get close to the buildings on the day we went but got a few decent shots. This was converted to black and white and a vignette added to it. Captured with Canon 5D and Canon 17-40 L Handheld. 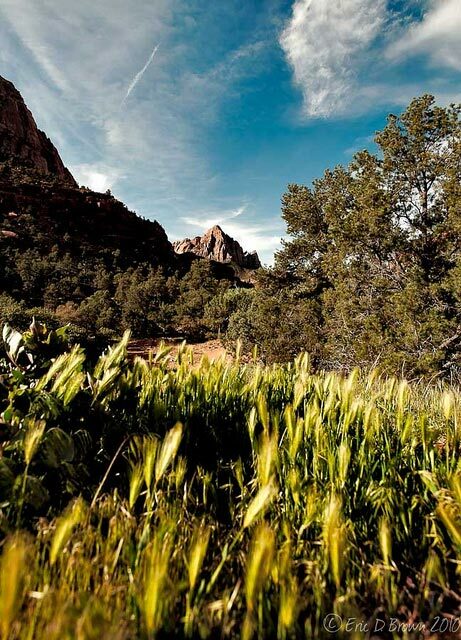 This is a photo taken at the highest point in the Kolob Canyon portion of Zion National Park. 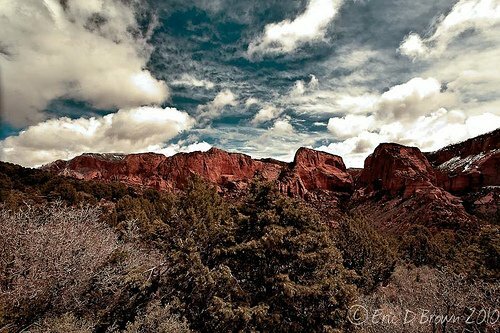 Taken in April 2010 during our Zion trip. Taken with Canon 5D and Canon 17-40 L handheld. 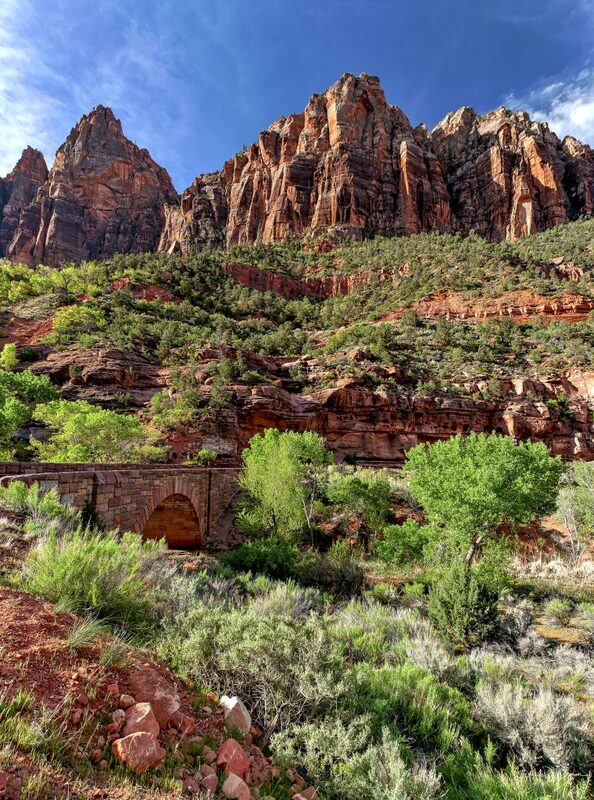 Tracie and I went to Zion in April…what a beautiful place to visit. 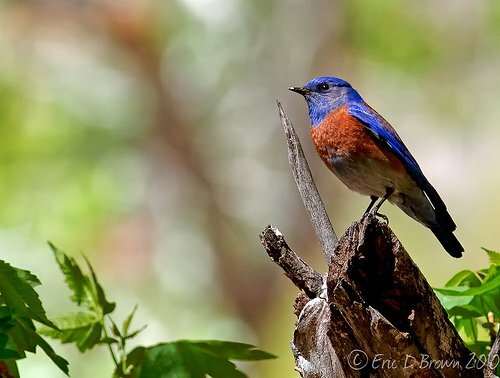 Here’s a photo of a Bluebird that I got while out there. Taken in Zion National Park near the Zion Lodge. Captured with Canon 7D and Canon 400mm 5.6 L sitting on my Induro CT314.